We all have limited storage space on our phones. Thus, it is better to transfer your photos or files to your PC or Mac. It can be a complicated process for many users. To deal with this problem, Apple developed iTunes. Using iTunes you can transfer your Apple device data to your pc easily. But, sometimes iTunes stops working due to many unknown reasons. In such cases, you can’t take backup of your iPhone data. It can be a messy situation as you can’t factory reset your iPhone without taking backup. In such cases, you can use third-party app or software’s to transfer photos from iPhone to PC. How to Transfer Photos from PC to iPhone without iTunes 2019 ? If you are an android user then there are already many tools that you can use for this purpose. But, iPhone users are limited to iTunes only. Apple doesn’t provide any other official application for this purpose. So it is very important for Apple users to learn how to use these third-party apps or software. As we have already discussed, you can use iTunes to transfer your Photos from PC to iPhones. But, sometimes iTunes can stop working for various reasons. One of the major reasons can be that you tried to jailbreak your iPhone. In such cases, you are bound to lose your important photos and data. You need to reset your iPhone to fix your iTunes. Thus, you will lose all your important data in this process. One of the most famous methods to transfer photos from PC to iPhone is by using iCloud. It is also only the official method provided by Apple to back up your data. You can follow below steps to easily take back up in iCloud. • Open Google chrome or any other browser in your computer. • Type icloud.com in URL section and hit enter. • Now login using your Apple account which is linked to your iPhone. • Now, select photos which you want to transfer. • After selecting click on “Upload”. • Once all the photos have been uploaded, open your iPhone. • Go to “Photo” app in your apple device and you will see all the photos which you uploaded using your PC. This is the only official way which is provided by Apple to transfer photos. You can use several other methods to transfer photos from PC to iPhone without iTunes. Email services are not limited to sending text emails only. You can use these services to transfer photos also. 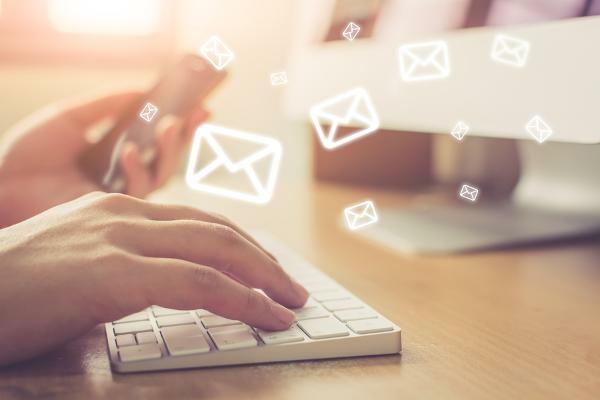 Almost everyone who is online has an email account. You need an email account to link your Apple account also. As everyone is already familiar with Email, you can use it to transfer photos from PC to iPhone. You can follow below steps to transfer photos using Email. • Download WinRAR and install it. • After installing, select all the photos you want to send and create a rar file. • Now, create an email and attach the rar file you just created. • Send this email to your own email id which is linked to your iPhone. • Now, open “Email” app on your iPhone. • Now, open the email you sent and download the rar file. This is the easiest method to transfer photos from PC to iPhone without iTunes. Facebook is the largest social networking website. It has more than 1 billion active users right now. Almost everyone who is on the internet has used Facebook. It has many features like you can update your status or send photos. We can use these features to transfer photos from PC to iPhone without iTunes. This method is also easy to use as almost everyone knows how to use Facebook. You can follow below steps to transfer photos using your Facebook ID. 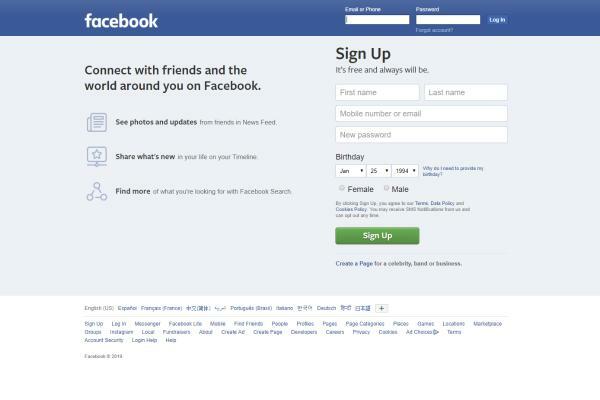 • Open facebook.com and login into your id. • Now, create an album on Facebook with any name you want. • Now, upload all the photos you want to transfer on this album. • Make sure to set the privacy of this album to “Only Me”. • Now open the Facebook app or Facebook on your iPhone. • Again login into your id and navigate to “Photos” section. • Now select the album you uploaded using your PC. • You can tap on any photo to save it into your iPhone. This method will take some time as you would have to tap on every photo you want to download. You can also use album downloader’s (https://chrome.google.com/webstore/detail/downalbum/cgjnhhjpfcdhbhlcmmjppicjmgfkppok?hl=en) which are available online. But, make sure you set the privacy of your album to “Public” while using them. Google has their products in almost every field. They have Google Docs, which you can use to upload documents online. Everyone knows about Google search, where you can search about anything. They also have Google Photos; it is a very powerful application which you can use to transfer photos. As it is made by Google, it is very easy to use. Follow below steps to transfer photos from PC to iPhone using Google Photos. • Go to App store on your iPhone and download “Google Photos”. 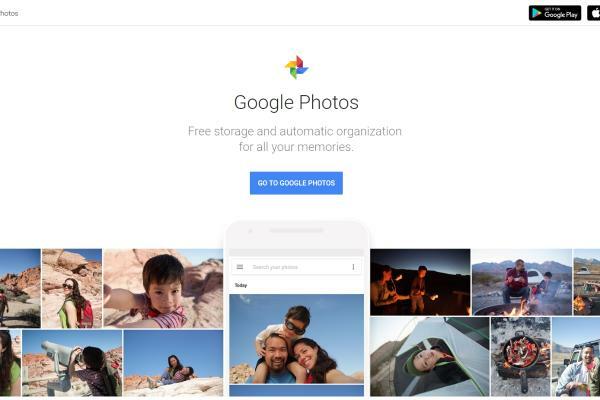 • Now, open Google Photos on your PC. • Sign in using your Google Account. • Now select all the photos you want to transfer and upload them. • After uploading, open Google Photos in your iPhone. • You will see all the uploaded photos which you can download easily. 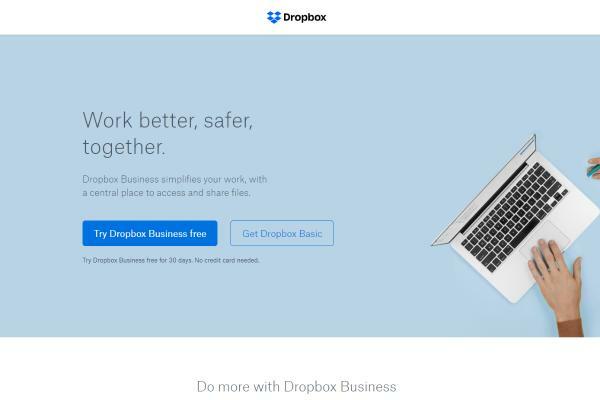 Dropbox is a very famous online storage. You can create your free account on Dropbox, after which you can upload your documents on it. There is a limit on free Dropbox which you can remove by buying their premium package. But, if you are thinking about transferring photos then you don’t need to buy any package. 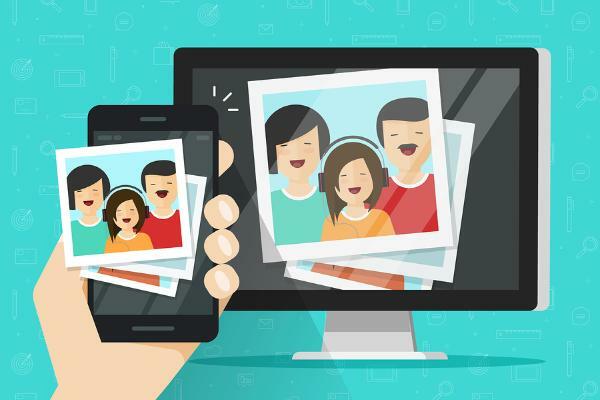 Follow below steps to transfer photos from PC to iPhone using Google Photos. • Open Dropbox.com on your PC. • Create a new account on Dropbox and verify it. • Now login into your account and select all the photos you want to upload. • Click on “Upload” option and wait for some time. • Now, open your iPhone App Store and search for “Dropbox”. • Download it and install it into your iPhone. • Now, open Dropbox on your iPhone and download all the photos you uploaded from your PC. Of course, using iTunes is a great way to transfer Photos from PC to iPhone. But, it can be a little confusing for new users. Thus, you must know about all the other alternatives available to it. These were all the methods which you can use to transfer your Photos from PC to iPhone. You can use any of these methods you like. If you know how to use Email properly, then you can go for Email Method. If you are more of a social media guy, then you can try Facebook for transferring photos. You can also transfer photos from iPhone to PC using below method. If you are using a Mac, then it is very easy to transfer photos from your iPhone to Mac. Follow below steps to do this task. • Plug your iPhone to your Mac using a USB cable. • Now open Photos app on your Mac. • Now click on “File” and then click on “Import”. • Now click on “Review” feature and selected photos will be downloaded in your Mac. • Mac will send you a notification when all the photos are downloaded. If you are a windows user, then there is some difference in this process. You can follow below steps to transfer Photos from iPhone to PC. • Open your PC and plug your iPhone using a USB cable. • Now open photos app on your PC. • Now select the “Import” option from the menu. • Now select all the photos you want to import. • You need to select the path where you want the photos to be imported. • Now click on Import option and wait for some time. Now you can easily transfer photos from iPhone to PC also. You don’t need to iTunes during any of the methods we have discussed. All the methods discussed above are very easy. Apple still has the largest market share in the Smartphone market. Even though Android has more features compared to iPhone. But, still, many Apple users don’t change to Android. There are many reasons why iPhone is still the best in the market. We will discuss some of these reasons in this article. 1. iPhone processors are still the fastest processor in the world. Every year snapdragon releases a new processor for Android phones. But, still, they don’t come close to iPhone processor benchmark. Currently, iPhone XS Max is the fastest phone in the world. You can use it to edit videos, take great pictures or play heavy games like Fortnite. 2. iOS is one of the best operating systems for smart phones. iOS is very easy to use compared to Android. They don’t change their UI much, as most of the people have got addicted to it. 3. All the new apps are first launched on iOS. The main reason for this is the developers. Most of the developers still prefer iOS as most of the users are willing to pay for their apps on iOS. Even games like Fortnite or PUBG are first launched on iOS and then on android. 4. Apple Pay is another great app by Apple to do mobile payments. You can use it to do payments instantly. 5. Compared to Android phones, iPhone hardware and software is well integrated. Even Google Pixel can’t beat Apple in this. As, both the hardware and software is made by Apple for iPhones. They make sure that they are very well integrated with each other. 6. iPhone has fewer bugs compared to Android phones. These were all the reasons because of which people think Apple iPhone is better than Android. There can be many more personal reasons also for which someone can like iPhone. Also, now you can easily transfer Photos from your iPhone to PC without using iTunes. Thoughts on "How to Transfer Photos from PC to iPhone without iTunes 2019 "